“All aboard!” Grand Central Terminal, New York City, the late 1880s. 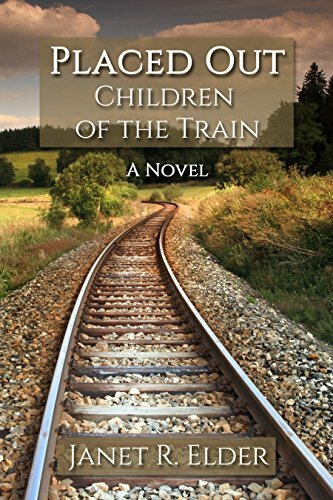 An Irish boy and three German sisters are among those put on an “orphan train” headed West. Like thousands of other impoverished immigrant children, they will be “placed out” along the way: given to strangers, farm couples who agree to foster them until age eighteen. Siblings are routinely separated by “distributing” them at different train stops. The quartet’s lives inevitably diverge, unfolding in dramatic and unexpected ways as the orphan train riders grow into adulthood in Texas at the dawn of the 20th century. Full of action and surprises, Placed Out explores the meaning of courage, hope, friendship and “family.” The gripping, sprawling saga is the fictionalized account of the four orphan train riders and those with whom their lives intersect. The story opens in New York City in the 1880s, but unfolds in Texas as the 19th century draws to a close and chronicles their experiences as they move into young adulthood. Between 1854 and 1929, Eastern cities placed an estimated quarter of a million homeless and destitute immigrant children on trains – later termed “orphan trains” — headed west.” The young riders were placed out to rural families in the hope they would have better lives. During the movement’s 75 years of existence, the trains distributed their precious cargo to 47 of the then 48 states. The movement came to a quiet close on May 31, 1929, with the placing of three boys in Sulfur Springs, Texas.